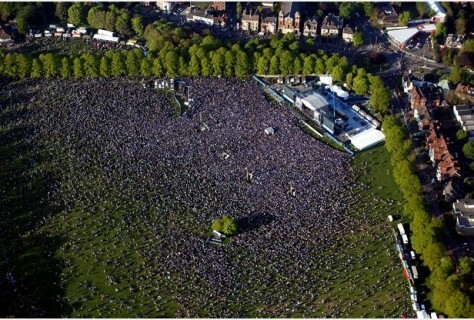 Nearly 250,000 people took to the streets yesterday to be able to catch a glimpse of the victorious Leicester City boys. The parade finished in Victoria Park where it was engulfed in a sea of blue and white as people wait with anticipation to welcome the team on stage. Some of us here at D4R were amongst the crowd celebrating this amazing event. There was an amazing atmosphere as everyone celebrated with friends and family, all cheering and chanting. 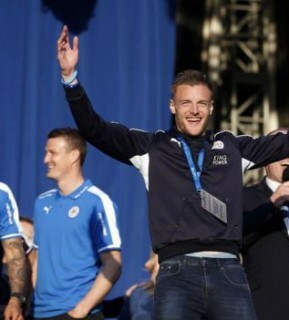 Highlights from the past season play on big screens to remind everyone the enormity of what Leicester have achieved. 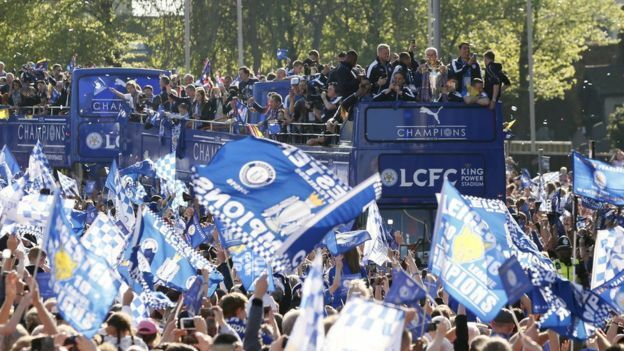 Everyone cheered as the team lifted the Premier League trophy in the air and to top it all off, Kasabian played a set to get everyone geared up for their concert that is being held at the stadium later on this month. The photo views of Victoria Park just show you the enormity of what has been achieved and what a tremendous victory this is. Monday 16th May is a day that will go down in History as a fantastic day for all Fox fans and for everyone in Leicestershire. D4R congratulate the Leicester City boys for this tremendous achievement and are proud to be part of this amazing city.